When I found out at the beginning of the year that my friend Jemma was pregnant with her first child, I started making things. An earlier post displays the knitted monkey toy. This project is for a patchwork quilt/mat (dependent on how Jem wants to use it). 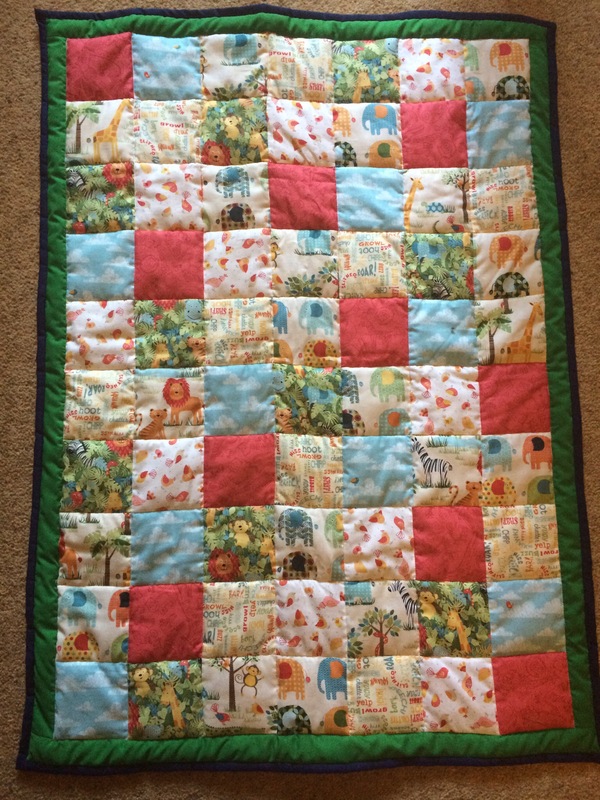 Before we knew gender I had decided a jungle theme quilt would be most fun and would tie in with the monkey. I was thrilled months later when I was half way through the quilt and before Jem knew about it to find out that they had decided on a jungle theme for the baby. 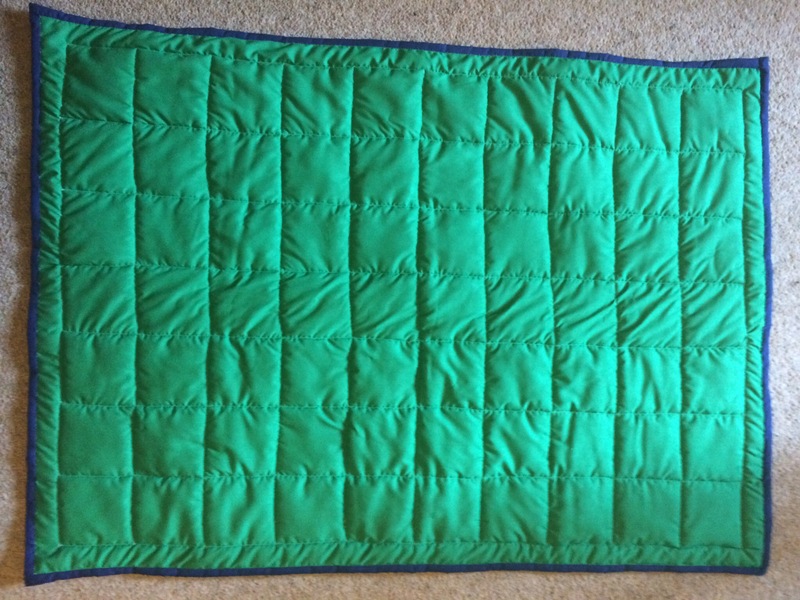 I had made a quilt once before but whilst this was on a smaller scale, I had forgotten how long the hand sewing of the binding actually took and I spent every weeknight of the week before Jem’s baby shower sewing and trying to get it finished. I couldn’t actually feel my index finger by the end of the week! The finished result however was great. I stitched in the ditch between each square to give some extra detail and to stop the layers moving around. Hopefully the new baby will get plenty of use from it for years to come.